A free high-tech tool to combat the wildlife poaching crisis was offered to grassroots rangers by a consortium of conservation organizations at the World Conservation Congress. SMART, the Spatial Monitoring and Reporting Tool, is designed to help park and community rangers fight illegal wildlife trade by identifying poaching hotspots, improving rapid response measures and calculating the impact of anti-poaching efforts in order to maximize results. In many under-funded countries, it will enable governments to assess the most effective law enforcement options. The open-source, non-proprietary software system was developed in close collaboration with protected area authorities and other key stakeholders to improve conservation on the ground. It extends and simplifies existing technologies for monitoring efforts to tackle poaching and other illegal activities and can be translated into different languages. The consortium of conservation organizations is committed to train rangers and work with national governments to scale-up their responses to wildlife crime. Rangers will be trained on how to use SMART. Equipped with GPS devices, they will be part of a global network of support. "This new system will ensure rangers in the field have the best training and most sophisticated tools they need to patrol wild places threatened by well-armed and well-funded criminals illegally killing off wildlife across the globe," said Dr. David Wilkie, Director of Conservation Support for the Wildlife Conservation Society. "We need to provide our rangers with the smartest technology to effectively stop the high level of poaching now killing off tigers, elephants, gorillas, rhinoceros, turtles and other endangered species." "SMART is a tool that has tremendous potential to tackle wildlife crime, and while we are excited about this potential, we recognize that the right people—rangers, local law enforcement and governments—need to be in the driving seat," said Dr. Barney Long, manager of Asian species conservation at World Wildlife Fund (WWF). "The success of SMART depends on support from grassroots to the global community and WWF stands ready to help." Jean-Christophe Vié, Director of SOS - Save Our Species said: "All members of the SOS partnership, along with other donors, decided unanimously to fund this effort for two reasons: first a consortium of the largest conservation organizations are behind it and, second, given that poachers are using increasingly sophisticated techniques, we absolutely need to provide the best possible tools and use the latest technology to those people fighting everyday to preserve wildlife around the world. We call on other donors to join us in supporting SMART, and countries and conservation groups to adopt it." 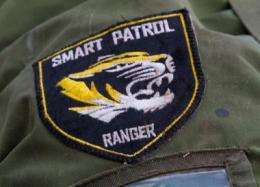 Some of the specific functions of SMART include: provides timely and accurate information on where, how and by whom poaching, illegal logging and other direct threats to biodiversity are occurring through the collection of field and intelligence data; enables rapid feedback and communication between protected area managers and frontline enforcement staff; measures the impact of anti-poaching efforts in order to judge which tactics yield the best results; and provides information to government agencies to assess cost-effectiveness of law enforcement efforts. SMART is open-source, nonproprietary and free to obtain.